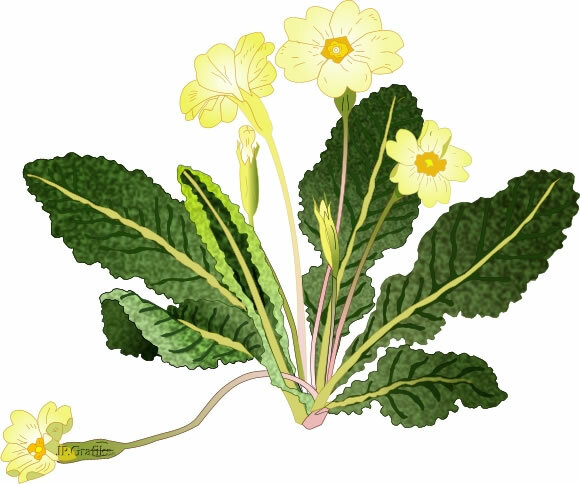 Primrose This is one in a series of wild flowers, these are used for many local countryside projects, Like many of my pictures they start off as a line drawing as I do the pictures for Newsletter and posters. It is when I have a little more time that I experiment with Xara and tryout the fills and blends on these drawings. All my drawings are created using the pen tool.